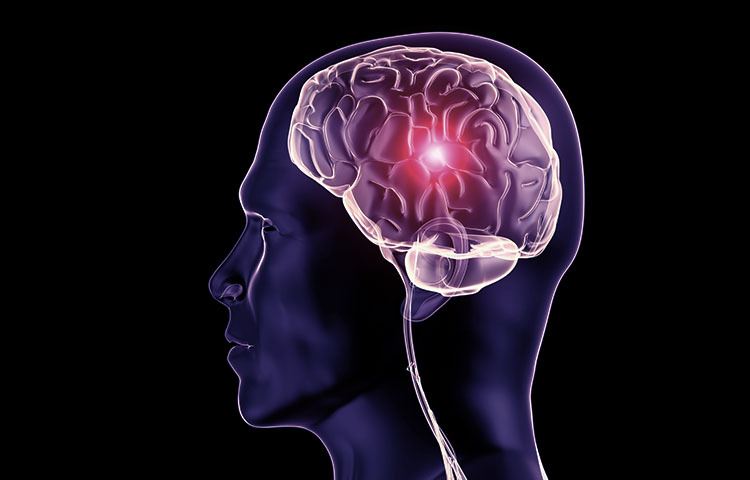 TBI patients with persistent headache and visual disturbances may be suffering from a type of pseudo-tumor, a new case study suggests. The study outlines a case in which a man developed pseudotumor cerebri after receiving a head injury. This pseudo-tumor occurs when pressure inside the skull increases causing symptoms that mimic a brain tumor. In the case report, a 29-year-old man injured his head after falling in a road traffic incident. The patient was treated for a brain injury with surgery, recovered well, and was discharged home. Following the surgery, the patient suffered from headaches and deteriorating short-term memory. Five months later, he developed a bone-flap infection which was treated with surgery and antibiotics. Throughout this time the patient continued to experience mild to moderate headaches that did not respond to medical treatment. Eventually he was diagnosed and treated for pseudotumor cerebri. Researchers suggested that multiple factors contributed to the patient's development of the disease. Within the four years after the accident, the patient had gained 20 pounds and was clinically overweight for his height. Obesity has been shown to increase the incidence of the pseudotumor cerebri. Researchers also pointed out that the brain injury itself could have altered the cerebral blood flow and CSF flow dynamics. The patient's bone-flap infection may have also lead to changes in CSF flow dynamics by disrupting proper cerebral venous drainage. Changes in the flow of cerebral blood and cerebrospinal fluid could increase intracranial pressure and lead to pseudotumor cerebri. Researchers concluded that head-injury patients be tested for pseudotumor cerebri if they suffer from chronic headaches and visual disturbances. Rahman MI. Pseudotumor cerebri following traumatic brain injury in a 29-year-old man. Journal Natural Science, Biology, and Medicine 2012; 3(1): 105-7.